Stephanie Kennedy of Thurmont was awarded a $1,250 National Rifle Association (NRA) Scholarship at the 2018 AIM Grand National Championship, held this summer in Sparta, Illinois. Kennedy is a criminal justice major at Mount Saint Mary’s University and a member of the Thurmont Top Shots. 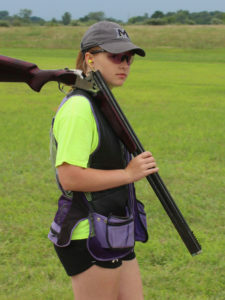 She also placed third in Class C Doubles Trapshooting in the junior-gold division at the competition.